The fundamental principle is that every site on or in your physical structure is predisposed to resonate with one or more specific other levels of consciousness, other body sites, emotions, thought patterns and many other aspects of yourself. In other words, emotions have intrinsic harmonic relation to particular body sites, mental constructs and all other simple or complex aspects of human existence. Right and Left – You may have noticed that you’re not symmetrical. One eye is smaller than the other, one arm swings more freely than the other. All of this is associated with (not caused by) experiences of, attitudes toward, and learned behaviors focusing on two genders. Although you are one gender you have interacted with both. You also feel, believe, and behave differently toward one than toward the other. The left side of the body embraces the female principle and the right side the male. Front and Back – Things happening to the front of your body (face, palms, kneecaps) are associated with a conscious awareness of something in your life. The more to the back or posterior body parts, and the less often that part is seen correlates to the fact that the associated levels of consciousness exert their influence in ways you may not be aware of in your waking life. These physical aches and pains take you by surprise, you do not see them coming. Bottom and Top – The closer a site or force or movement to what might be the beginning or bottom of a structure (the soles of the feet, the bottom of a lung) the greater the possibility that this construct happened very early in your life. The nearer the top, the more likely the construct happened more recently or currently. Example: The basic emotion/mindset associated with the knee is abandonment. If a woman injures the inside of her right knee, she may have experienced that a male, or all males, have abandoned her and will again. If a woman injures the outside of her right knee, she feels discomfort about abandonings she has perpetrated. If the damage is on the left knee, her gender related side, then the correlation tends to reflect more upon herself. Inside left knee is associated with a female abandoning her or females in general. The outside is tied strongly to behaviors of the self. She may not have lived up to other females or is ignoring her own needs. Our semantics often reflect what we instinctively know in our bodies to be true. 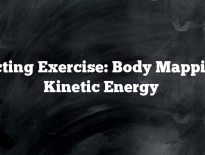 When movement is easy, you’re in line with or “in congruence with” the way your body is designed. When movement is difficult, something puts you in conflict with or renders you insensitive to the design. Translate or Shear – (glide forward or back or to one side or the other) Shearing disconnects or diminishes your awareness of what is just below. Shoulders – define the degree to which you are willing to have you innermost self seen and affected by the outer world. Shoulders elevated is anticipation or memory of unpleasant experience, or you are blocking support or the receiving of support. Shoulders pressed forward means shame is involved. Shoulders pulled back is that you believe being hurt by others is inevitable but you can organize yourself so that you don’t feel it so deeply. Cheekbones and Sinuses – hold shame. Forehead and front upper part of head – holds self-judgment. Often people who hold much self-judgment have frown lines. Lungs – Grief and loss. Also anger and denial are held here but they are usually cover-ups for grief and loss. Stomach – Heartburn usually is connected with ambition. Spleen – Disappointment and unfairness. 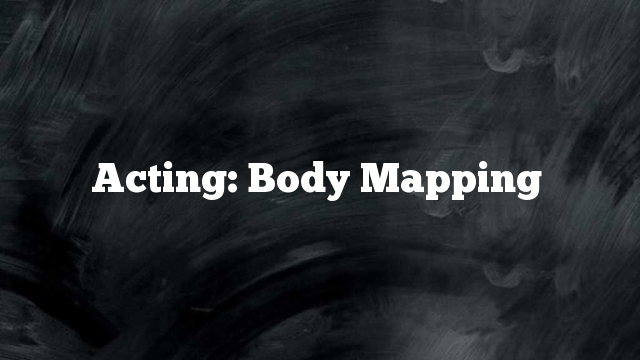 See this link for a Body Mapping exercise.